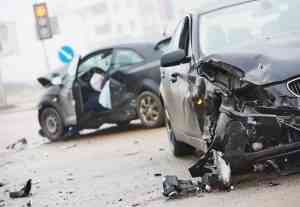 When road traffic accidents occur, the blame often goes to the person behind the wheel, not the crashed vehicle itself. Even so, it’s hard not to admit that the type of vehicle driven affects the accident’s chances of occurring in the first place. Although substantial evidence exists pointing to human error as the cause of virtually all car crashes, there is a blind spot for the type of vehicles commonly chosen by bad drivers. At least until a few years ago. Of course, with data on the most damage-prone cars, there must also be statistically safest vehicle to use. Auto accident attorneys cite the Jeep Wrangler as that vehicle, while the NHTSA identifies “micro cars”, “mini sports cars”, and “midsize station wagons” as the vehicle types least susceptible to damage. Russ Rader, an Insurance Institute for Highway Safety spokesman, explains the findings by noting how “safer” options are common work vehicles, particularly in rural areas. “Low-severity fender-bender crashes, which are the dominant crashes in these data, are less likely to happen in rural areas than in urban ones,” he says.